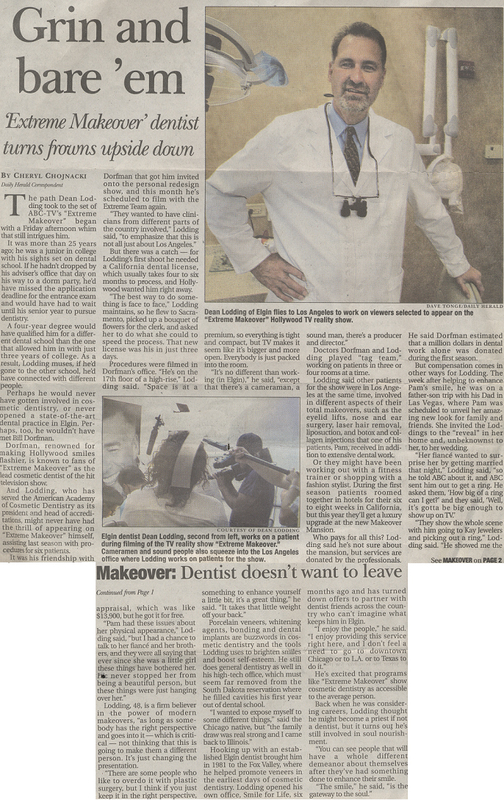 From coverage of charitable work to news about Dr. Dean Lodding’s participation in the Extreme Makeover television series, our cosmetic dentist and his experienced dental team have been featured in a variety of media outlets. 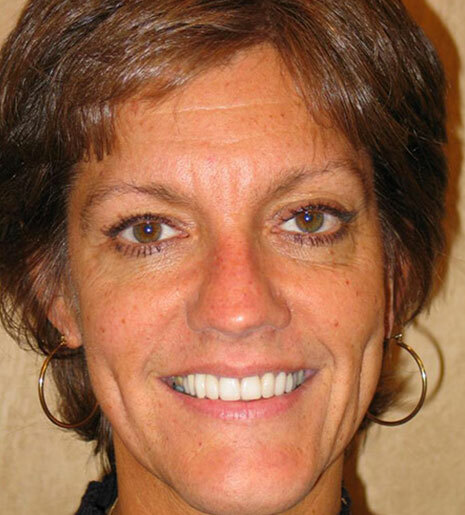 Please read on to see images, videos, and articles that showcase members of our practice, as well as a “Welcome” message from one of our favorite patients! 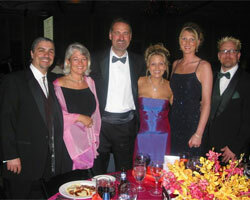 Dr. Lodding and his staff, enjoying a photo opportunity with one of his favorite patients, Jenny McCarthy and the McCarthy girls. 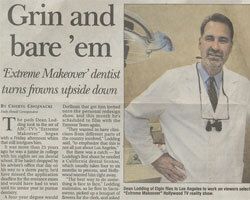 Dr. Lodding taking a moment to enjoy the Extreme Makeover reveal shoot, with a special patient, Jenny McCarthy. 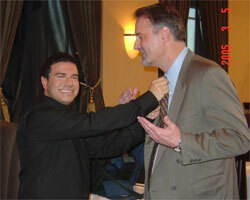 Dr. Lodding getting the final touches from Extreme Makeover style expert Sam Samboura, right before the reveal shoot. 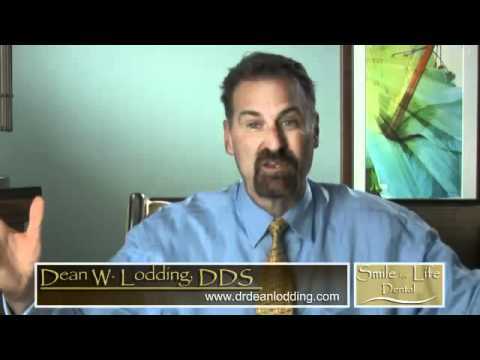 Dr. Lodding enjoying the satisfaction and confidence of his Extreme Makeover patient, Linda, who is loving her new smile at the reveal shoot. 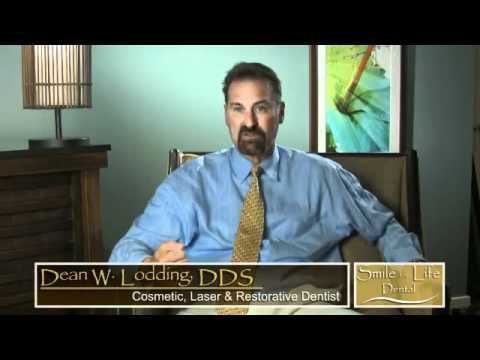 Dr. Lodding and the Smile for Life Dental team are together celebrating a themed party for Dr. Lodding’s 50th birthday. 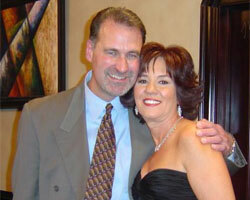 Dr. Lodding and Dr. Bill Dorfman are enjoying an evening photo opportunity, celebrating Dr. Dorfman's wedding. 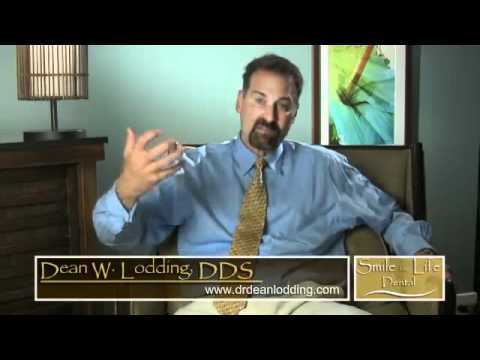 Dr. Lodding and his Smile For Life Dental team are enjoying a toast by Dr. Lodding for leading such a great team that performs inspirational makeovers for people. 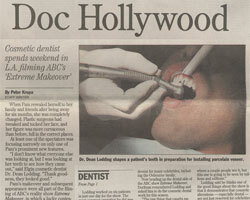 Coverage of Dr. Lodding participating in another season of Extreme Makeover, bringing dental excellence to those in need. 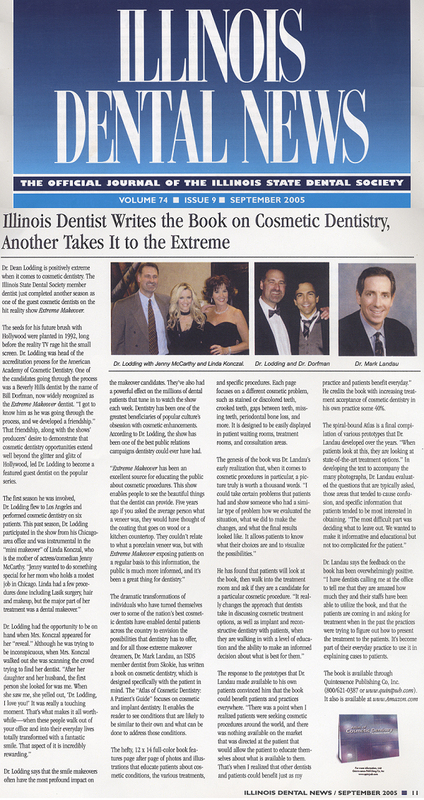 Coverage of Dr. Lodding as an Extreme Makeover cosmetic dentist, showing his excitement to create positive change for his patients. 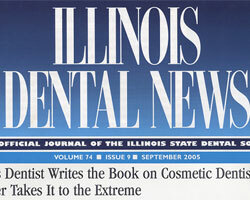 Highlights of some of Dr. Lodding’s dental restorations for an Extreme Makeover case involving porcelain veneers. 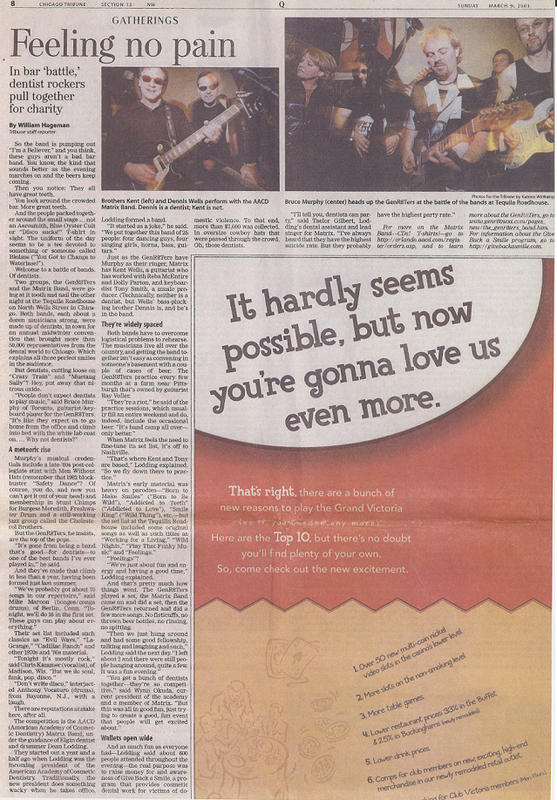 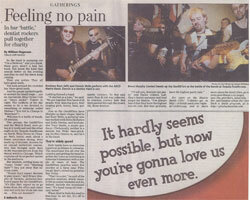 Coverage of Dr. Lodding’s role as an AACD band member, performing and entertaining for charity. 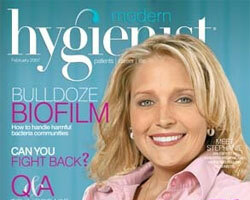 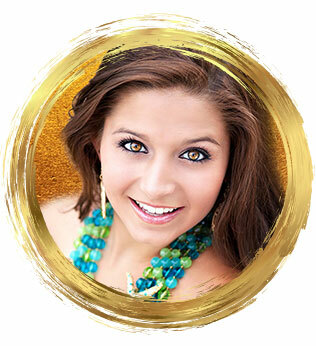 Dr. Lodding’s hygienist Stephanie receives accolades as an amazing dental hygienist. 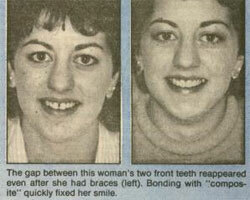 Local coverage of the cosmetic restorations Dr. Lodding has become famous for. 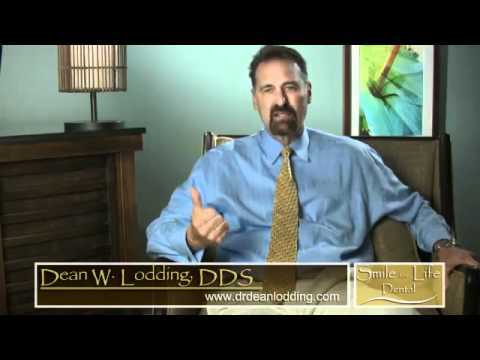 Practically any smile can be great with Dr. Lodding’s expertise and passion behind it. 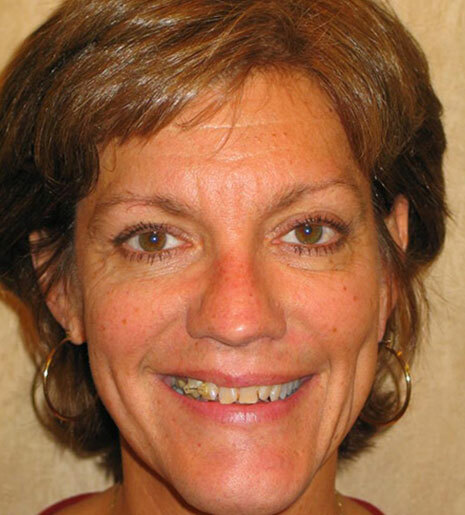 Our hygienist, Stephanie is featured in a national dental hygienist magazine, for her clinical excellence and dedication to serving her patients with the best of care. 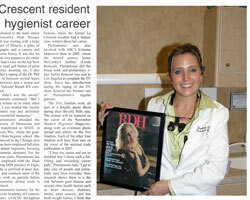 Stephanie and the other finalists for the BreathRx Hygienist of the Year Award were treated to three days in Beverly Hills.